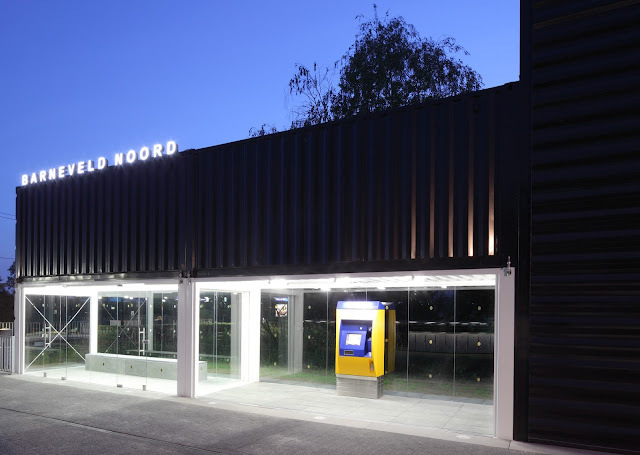 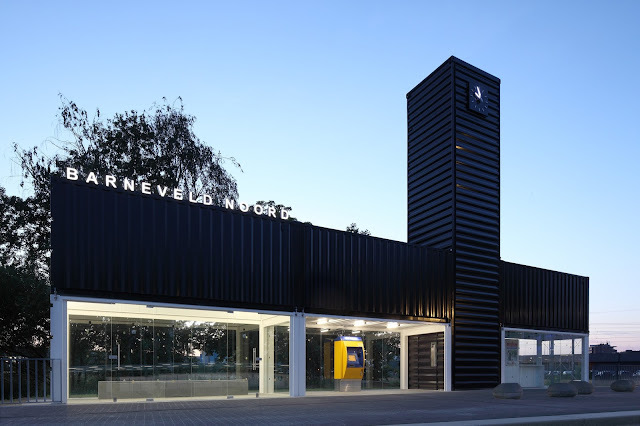 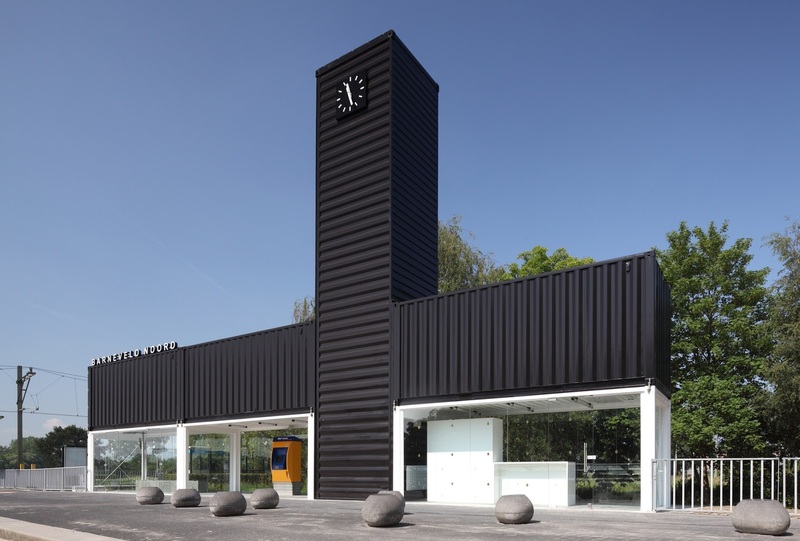 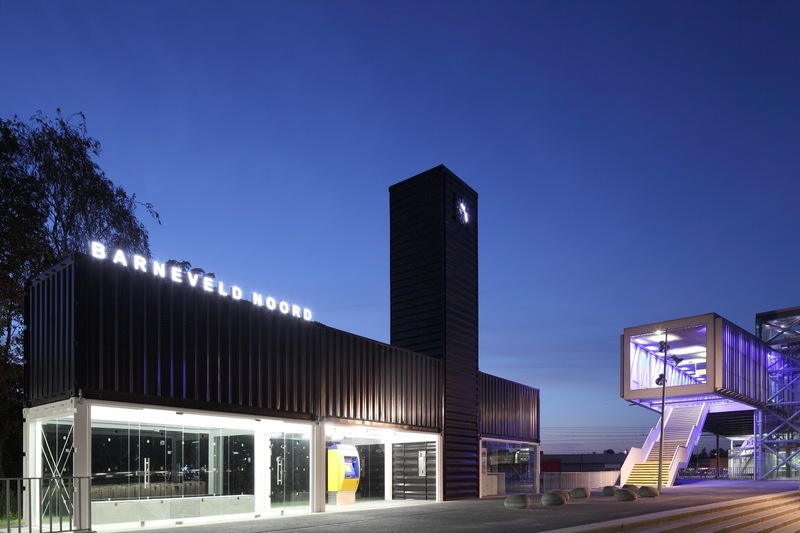 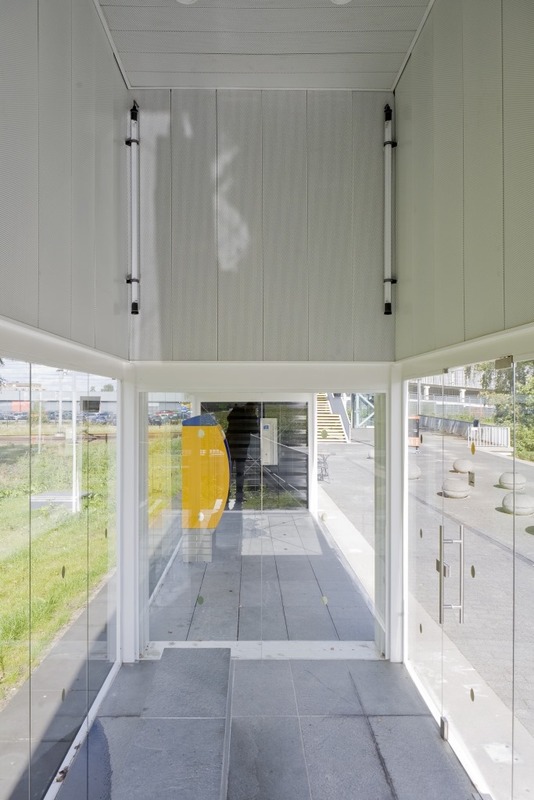 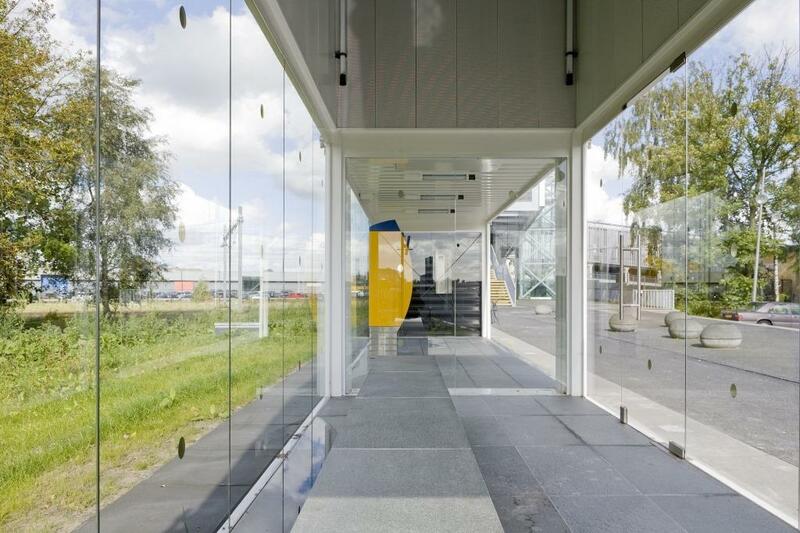 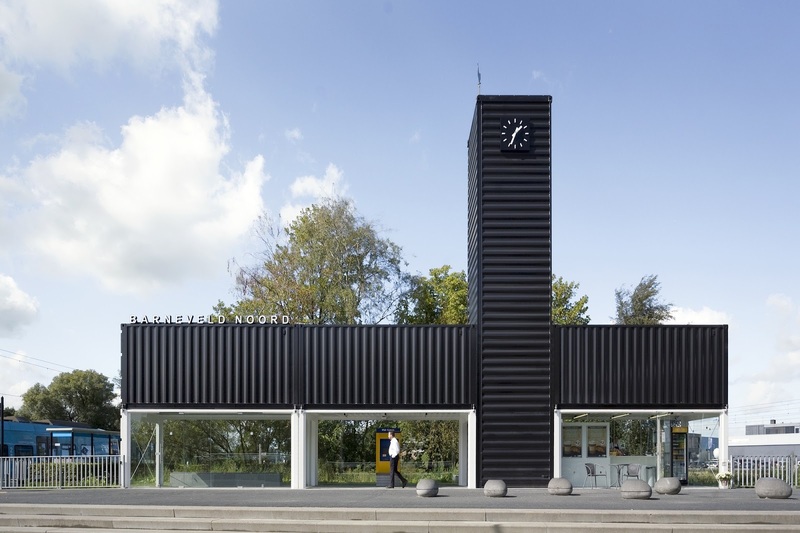 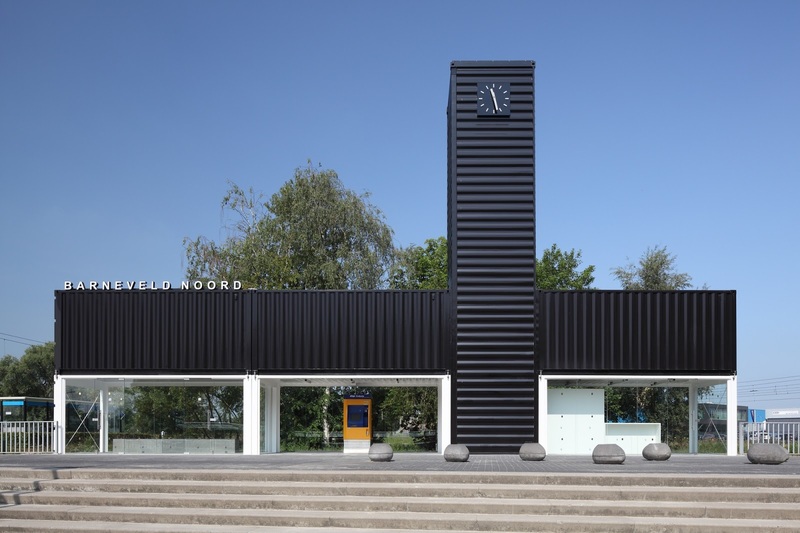 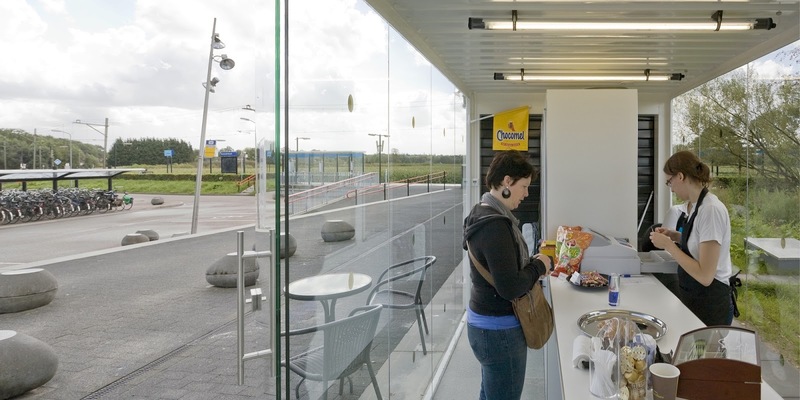 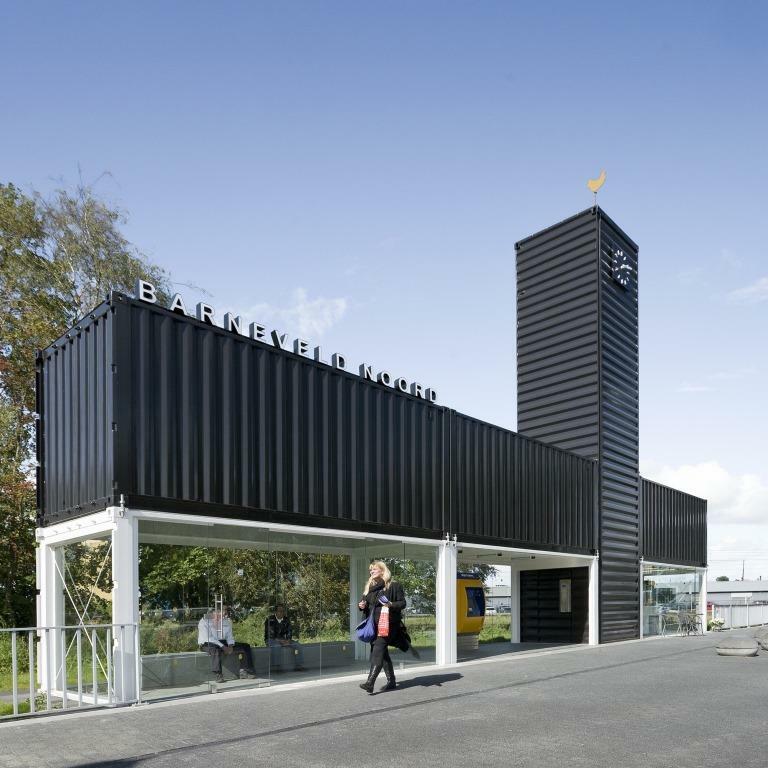 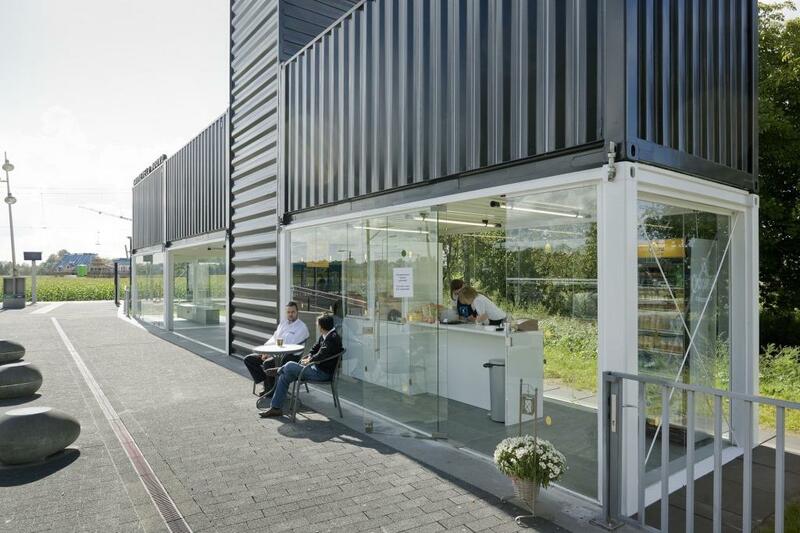 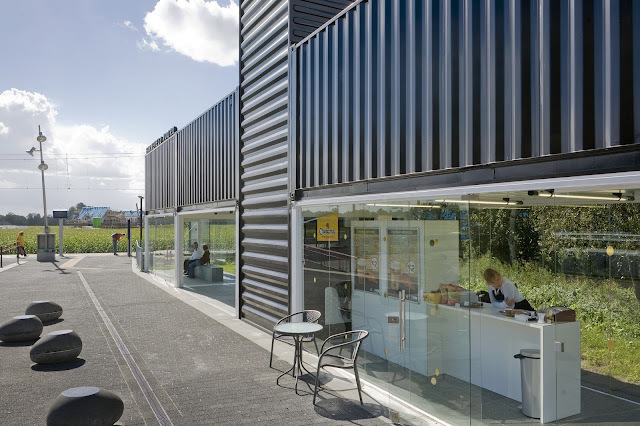 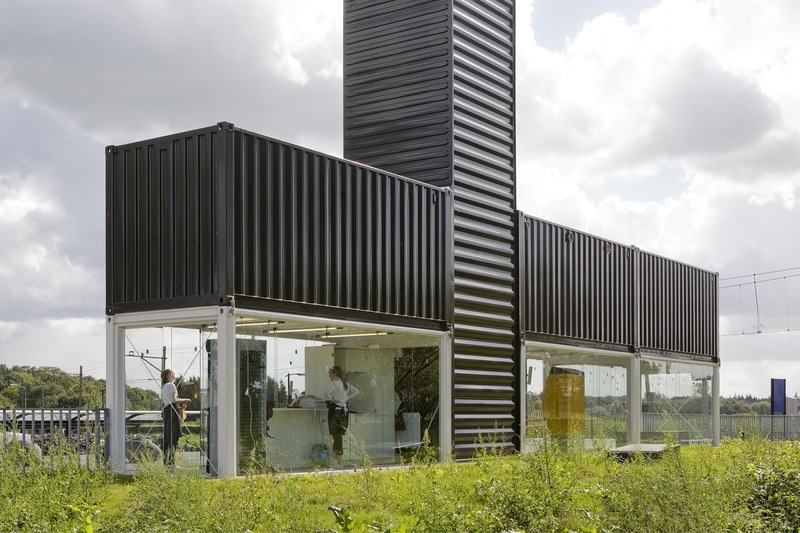 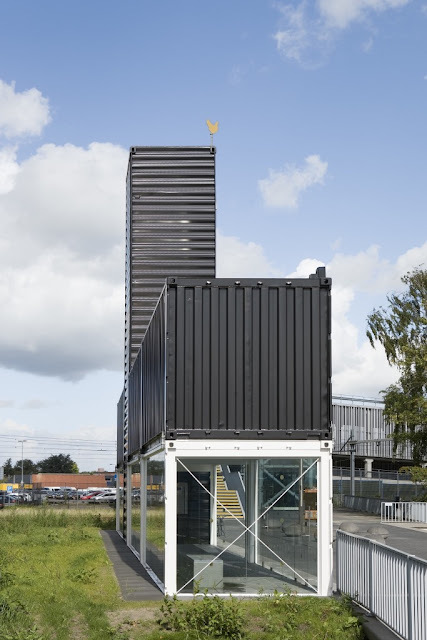 Frames of the three 20 ft shipping containers with glass walls form the main area in the Barneveld Noord Shipping Container Railway Station, which includes waiting area and cafe. 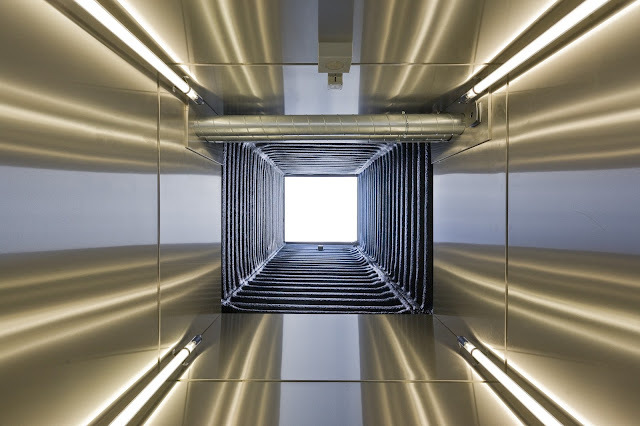 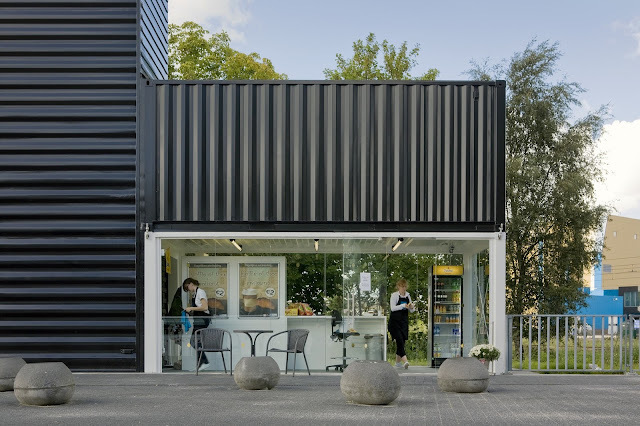 Another three 20 ft containers form the second layer, one of these containers creates double-high ceiling in the waiting area, second contains technical installations, the other storage. 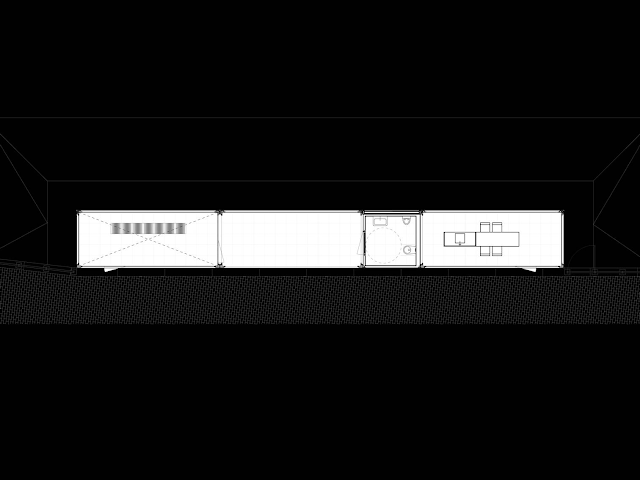 The seventh container is 40 ft and is flipped to an upright position. 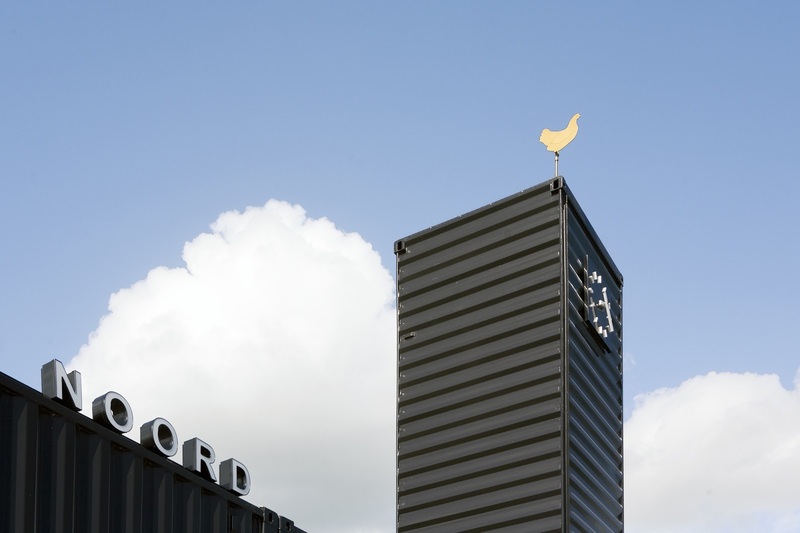 It makes a tower, which contains a clock and a wind vane. 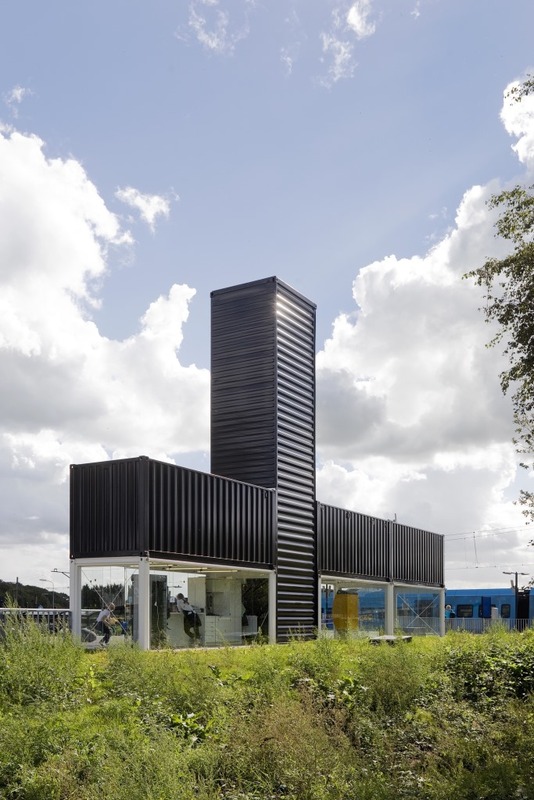 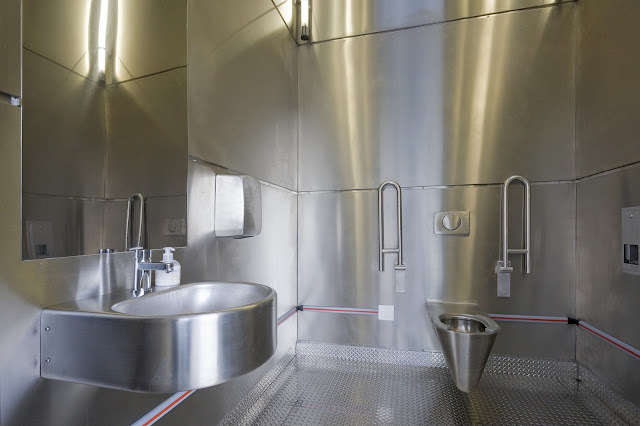 The tower holds a lavatory, topped by a glass roof and is 12 m high.